The internet is filled with Samsung Galaxy S8 and S8 Plus leaks, of late. 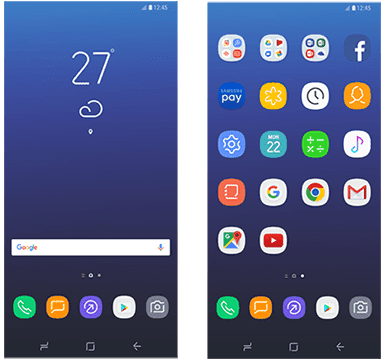 Yes, the upcoming flagship phone from Samsung has been making rounds in the internet for a long time and today, we have some decent images of the phone's new launcher and icons. 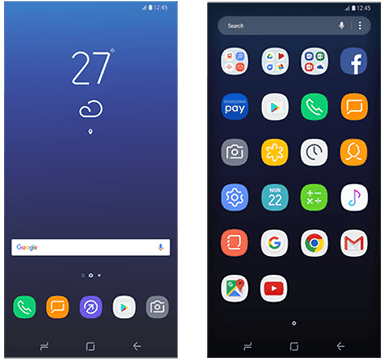 The Screenshots of the Galaxy S8 launcher and app icons came from inside the latest version of Samsung Smart Switch app. The Galaxy S8 is said to be come with latest Android 7.0 Nougat with new Touchwiz UI including a revamped launcher and minimalist icons. As you can see in the image above, the Samsung Galaxy S8 won't feature capacitive navigation keys, instead, Samsung is going with the on-screen navigation keys, for the first time.